The Dead Sea is the lowest elevation on Earth. Therefore, all the Earth's finest minerals go down to it. Fresh, untouched, virgin. That's why it attracts a lot of tourists, not only for it's Biblical history, but also because of the health benefits the water brings. It was one of the world's first health resorts and the people also use the salt and the minerals to create cosmetics and other beauty products. Lucky for those that have been to the place (found a nice blog here) or those that live near it. 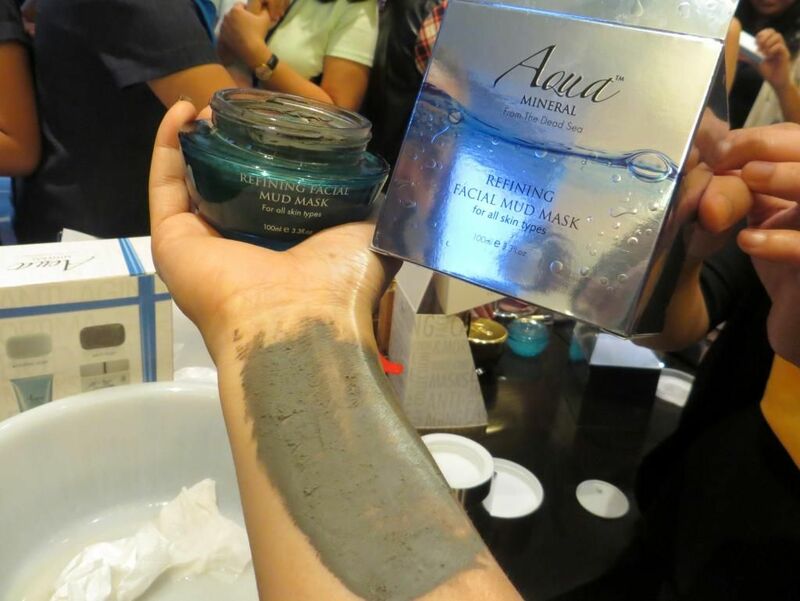 For people who can't travel right away to experience a dead sea mud mask and salt crystal spa, there is AQUA MINERAL. Aqua Mineral is not a brand new to me. Being a mall bum, my mom and I always see an Aqua stall at the malls. 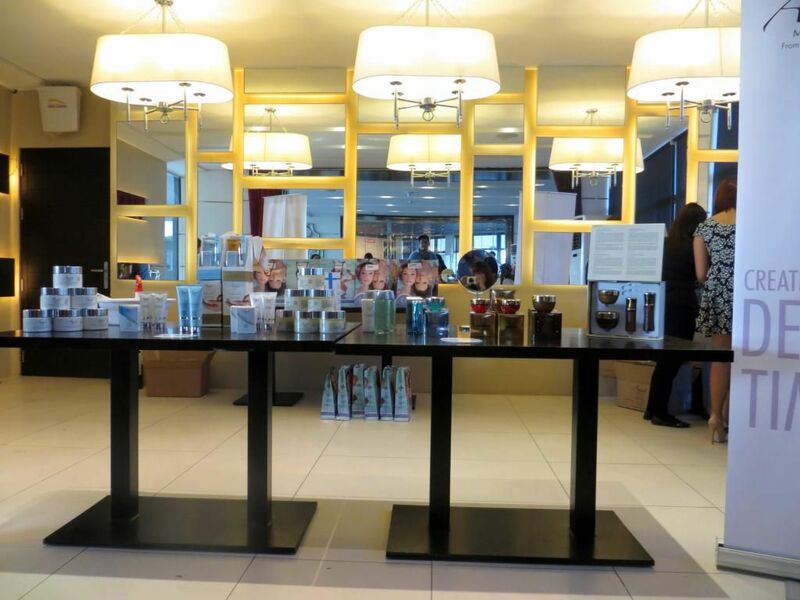 We would try some of their products and never fail to get amazed by the results. 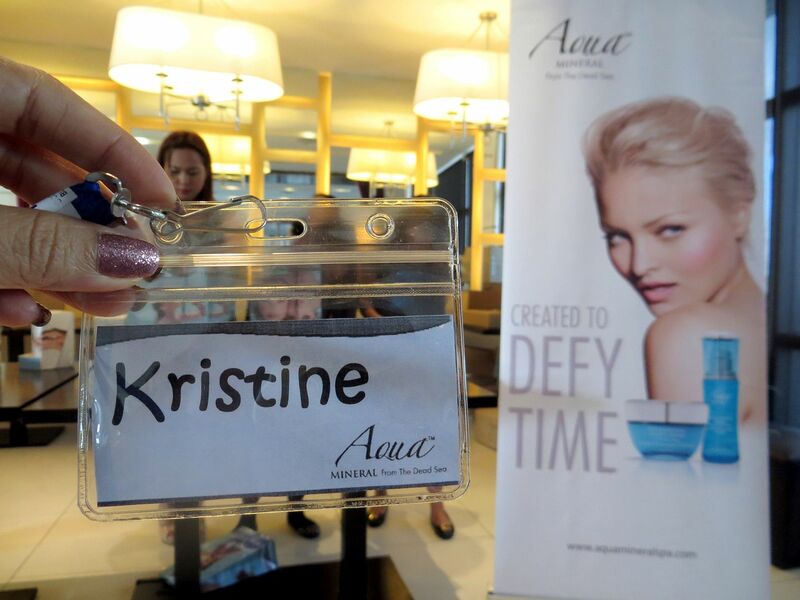 I was lucky to be invited to Aqua Mineral's bloggers event last Sunday. Here's what happened! It was a gloomy day. 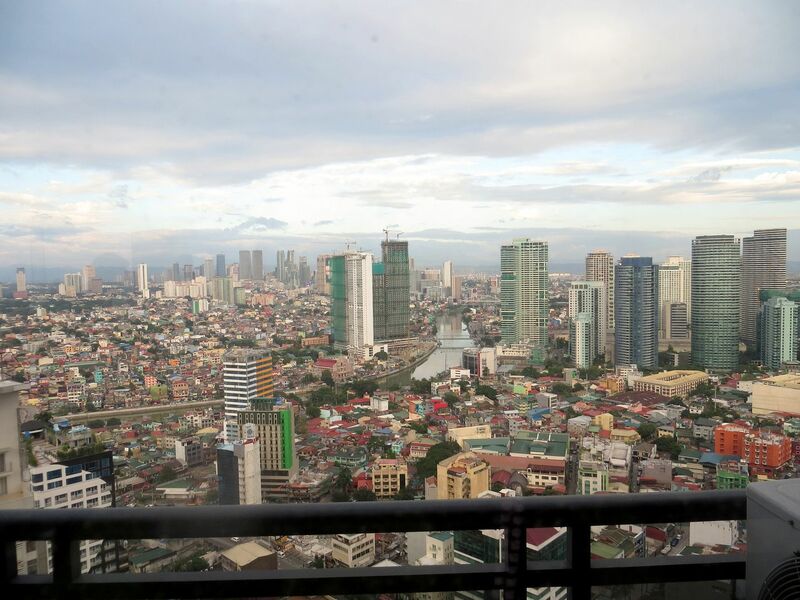 But that didn't stop us from having fun at one of the convention rooms in Gramercy Residences in Makati. I kind of miss my blogger friends, Andy and Erika, who were supposed to go with me to the event. I was so excited to go to Aqua's event because I really, really want to try their products, especially their amazing nail art kit! I don't own it yet but my friend (Ms. Jully) owns it so she lent me the nail buffer. 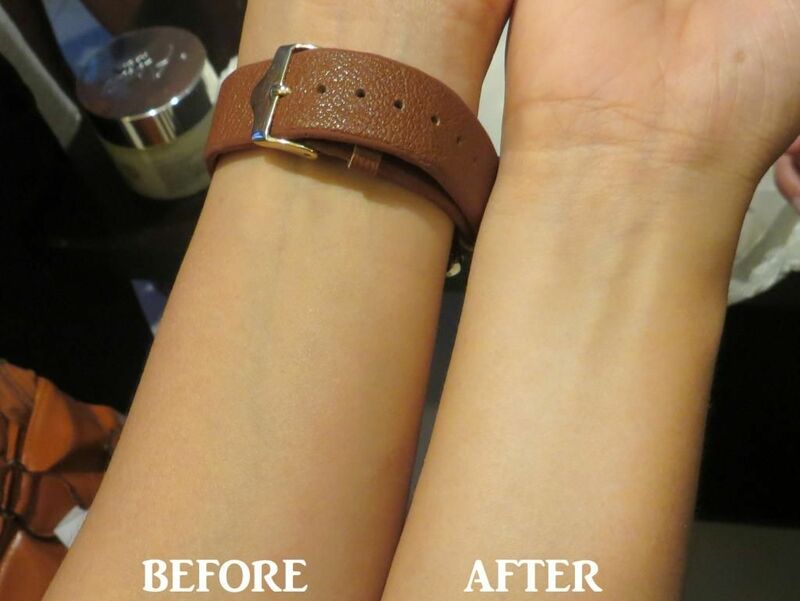 Boy, that product works like magic! Aqua Mineral was so generous that day. Their products are on the high-end level and the prices are no joke, but look at the amount of products they prepared! Oh, you don't see it in the picture. hehe. 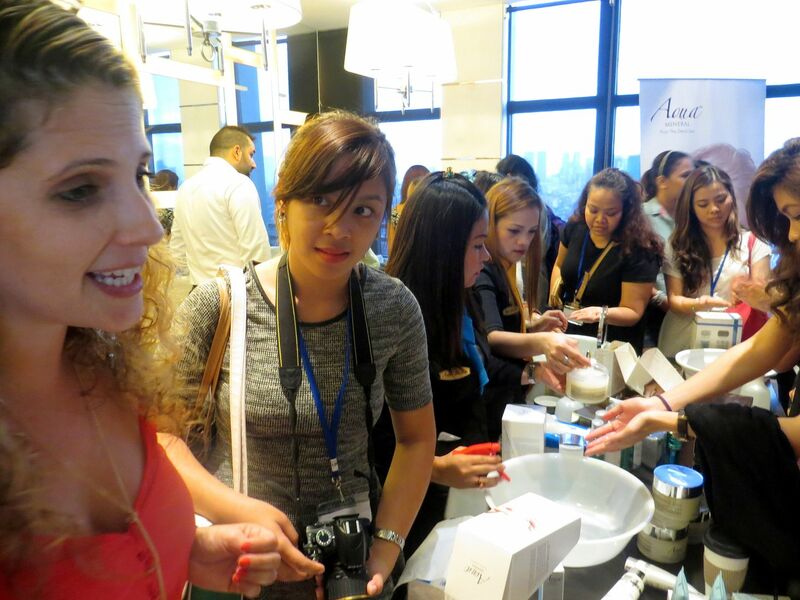 But in real life, the room was overflowing with Aqua Mineral products! I was alone but good thing I met a couple of nice people. Here's Cindy and I. There are times when I'd go to an event and see some faces that I don't know, either. You see, I am aware of the "famous" bloggers circle in fashion and beauty...and those popular ones are often the nicest and the kindest. So, I'd see some that I don't know and sometimes they'd turn out to be the "braggy" ones. lol. I remember, this day, there was one girl that said "Excuuuse me." with her eyebrows raised and unpleasant tone of voice as she excuses herself in front of me so she could take a photo of the products. 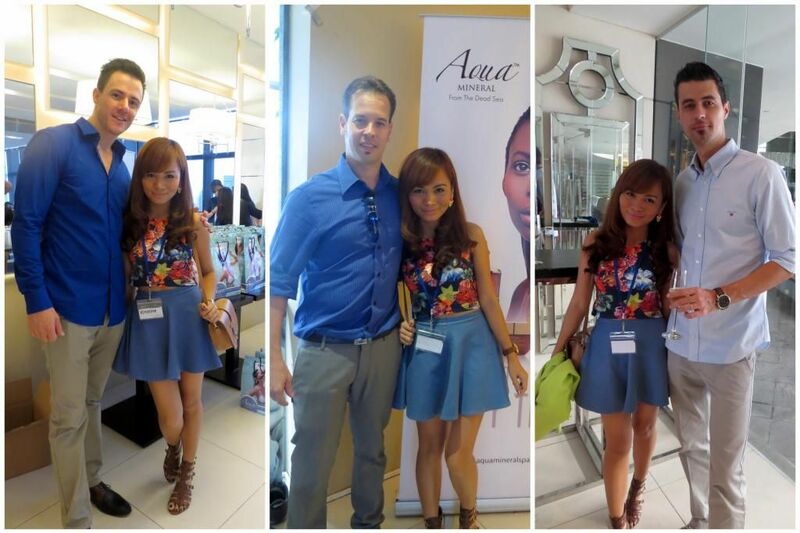 I was just like "Uhm, okay...."
Here's another photo with new friend, Cindy, and Ms. Jonah of Aqua Mineral. 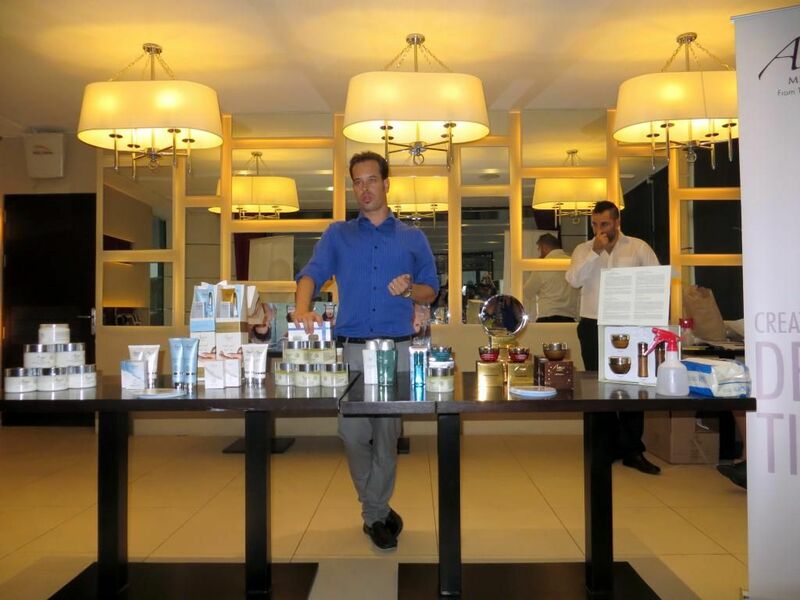 Then, Aqua Mineral's Vice President took the floor so he could talk to us about the products they have and the benefits of each to the skin. Aqua Mineral's President was also present to give a short talk. What I noticed about this company is that the owners and administrators really work hard and seem nice to their employees. I like people that are successful yet are still nice to their subordinates! Then it was finally time to try the products out! 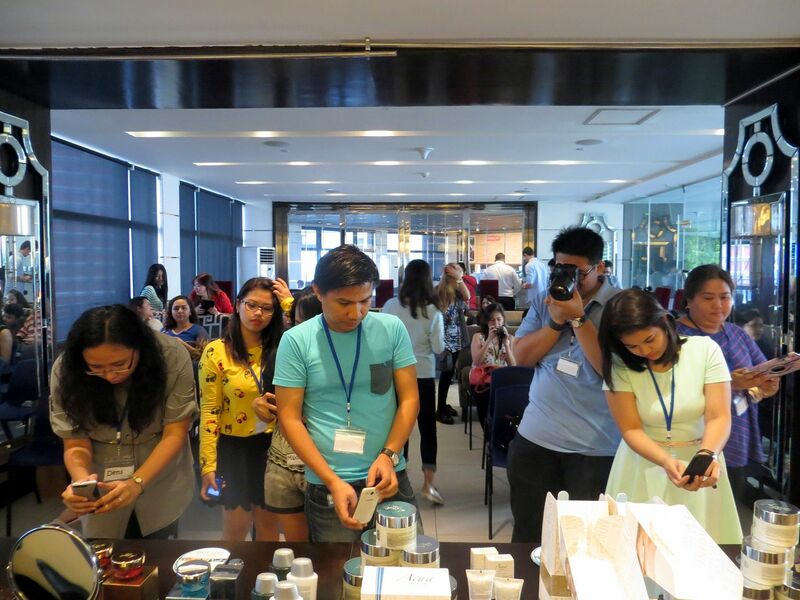 They invited a lot of bloggers that day so the room was really in a somehow "active" mood as everyone rushed to the table to try all the products. They explained each product first.  How to use it and what it does to the skin. Then, they tested the product on us. Maybe you can't see it clearly in the photo, but my right skin was definitely clearer, brighter and smoother after using the products. I also used some more Serums and Creams. 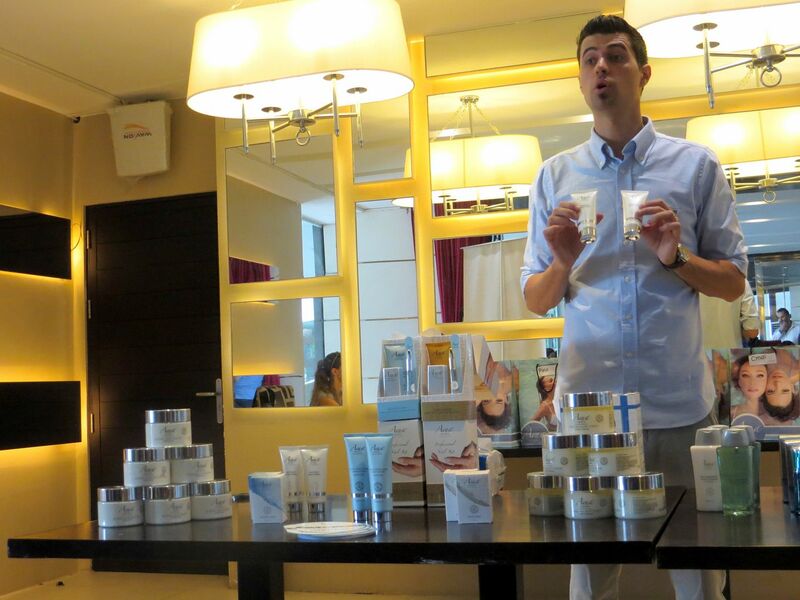 After the event, they gave away products to all the bloggers that attended! They were really generous, I told you! 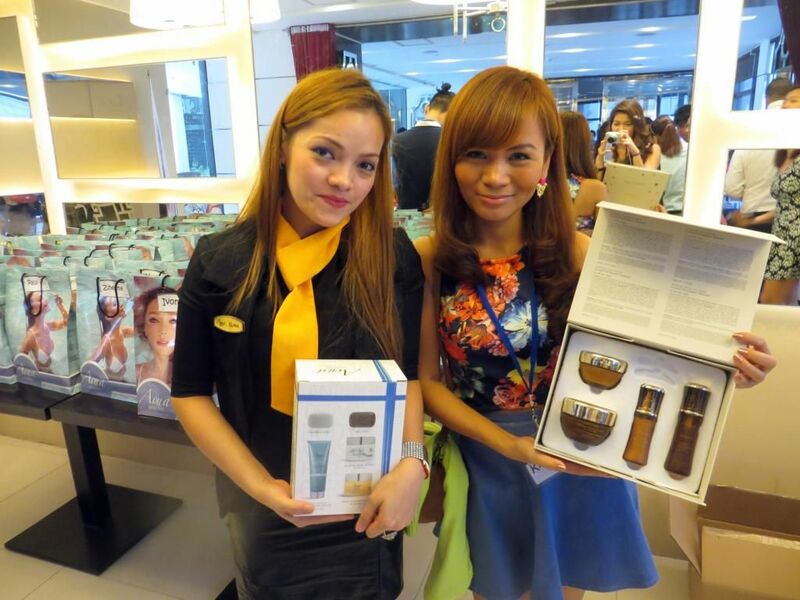 I got a gift bag with products worth Php 8,000! I can't wait to review them for you guys! 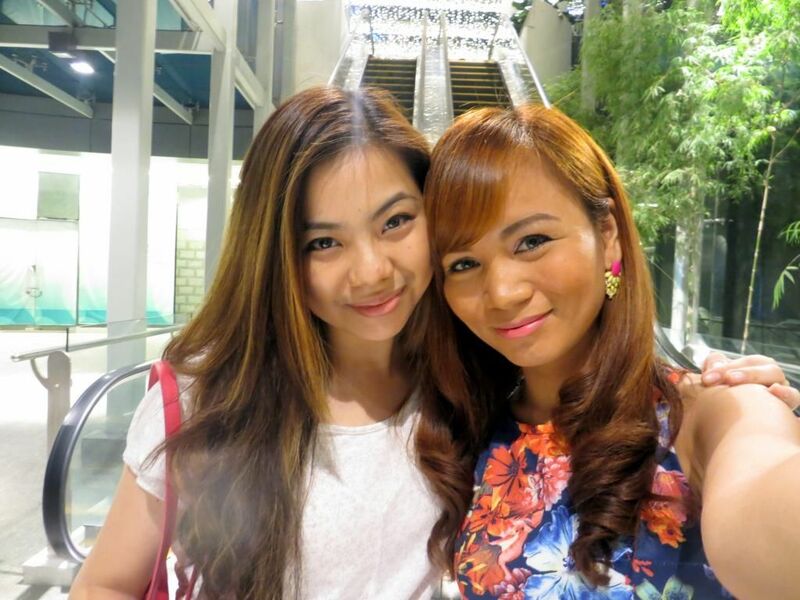 Before I went home, I took a photo with Phelicia. 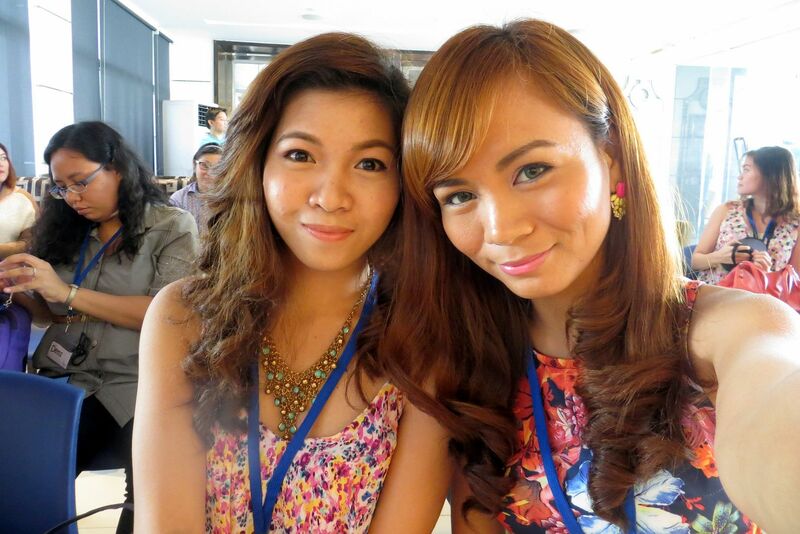 She's a blogger as well but don't you think she looks like Ailee? I do and I told her that. She said a lot of people already mentioned it to her. hehe Maybe not a lot in the picture, but in real life she does! Pretty! 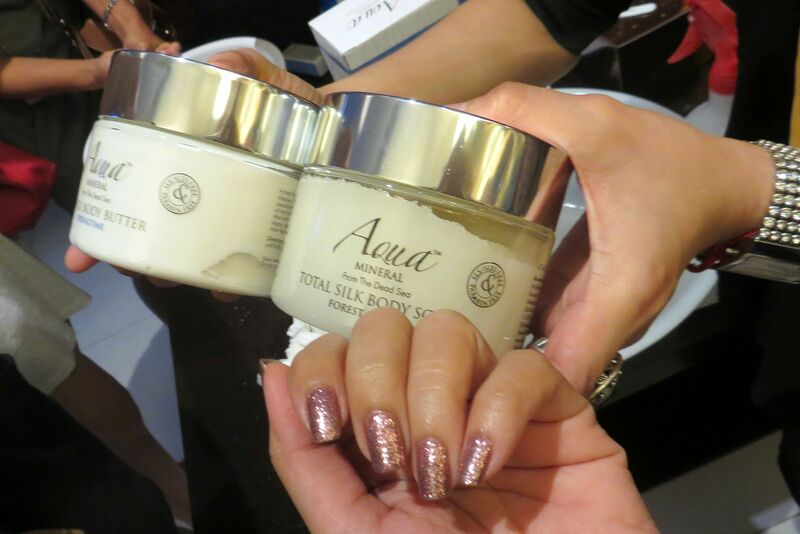 So, that's what happened at the Aqua Mineral Bloggers Event! Like I said, stay tuned for the Aqua Mineral GIVEAWAY announcement!